Dentist James Tinning qualified from the University of Leeds in 2013 where he was awarded the Kenneth G Stark Prize for Professionalism and Leadership. James has always worked in general dental practice and has pursued post graduate study throughout his career. He has completed numerous postgraduate restorative dentistry and implant dentistry courses. He is a member of the British society of Restorative Dentistry and the Association of Dental Implantology. 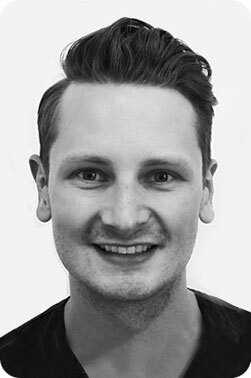 James has completed his Masters Degree in Restorative Dentistry with the University of Chester, with his research subject being dental bridgework designs. He has also been successful in the examinations for Membership of the Faculty of Dental Surgery with the Royal College of Physicians and Surgeons of Glasgow. Outside academic dentistry, James won ‘Highly Commended - Best Young Dentist North West’ at the UK Dentistry awards, a highly competitive award which reflects his dedication and hard work. James joined the practice in January 2017 and lives in South Manchester. .
James provides the full range of family dentistry as well as more complex root canal treatments, dental implants and cosmetic work. He is happy to see new private and Denplan patients at the practice. He has a special interest in Restorative Dentistry, particularly the restoration of teeth using crowns, bridges and dentures.